Garden structures can do wonders for your backyard remodel. They add character to your property and can make otherwise boring gardens look beautiful. Once you have a structure in place, you can use it to host barbecues and outdoor parties. You can also use it to enjoy different kinds of outdoor activities, depending on your interest and the kind of garden structure you own. 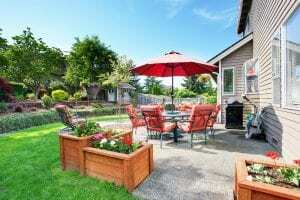 Are you planning a backyard remodel soon? Here are 5 structures that will completely transform your garden. If you want to add vertical interest to an area of your garden, consider having a trellis. Despite being a simple garden structure, it can make a huge impact when designed with different kinds of climbing plants. Although typically metal, wood is also a classic and natural option for your garden trellis. Take note, though, that wood is vulnerable to rot and warping when exposed to elements, so always add a coat of sealer to give your wooden structure a fighting chance and help it last longer. Garden sheds are great pieces to add to your backyard. They can serve a temporary or permanent purpose, depending on your preferences and needs. Aside from the rustic charm it provides, a garden shed can save a lot of space in your house. You can store different kinds of items in your shed, making the backyard look more organized. What’s great about garden sheds is that they also double as protection for valued items, particularly the ones that are bulky and large. You can place items that need a separate storage area and require proper ventilation in your garden shed without compromising their security. Garages or carports made of durable, high-quality wood make great investments during a backyard remodel. These structures are very popular with homeowners who like a safer, more secure parking area for their cars. These structures also serve other purposes; if you don’t plan on using it as a garage, you can use it as a modified storage or workshop area. One of the quickest and cheapest ways to enhance your landscape is by adding patio umbrellas. They are easy to find and easy to install, so you won’t really need professional help when assembling them. Before purchasing one, always look at the wide range of types and styles of patio umbrellas available on the market. We advise you get sun-blocking patio umbrellas because they let you enjoy the great outdoors while keeping you safe from harsh UV rays. If you want a simple structure for your backyard, then a garden arbor is a good choice during a backyard remodel. Homeowners who don’t have garden fencing can use it to delineate the entrance from the front to back yard. You can place the garden arbor near climbing plants to beautify your landscape even more. Remember to only buy sturdy garden arbors so that they don’t get knocked down during extreme weather conditions. When doing a backyard remodel, having structures can make a huge difference in your landscape. These structures are a major investment, so do your research first before buying the one you want. Determine if you really like it and if you’re willing to have it for the years to come.